CAMDEN, Maine, October 03, 2017 – Jennifer Mirabile, CFP®, CWS® was recently named Managing Director of Camden National Wealth Management. 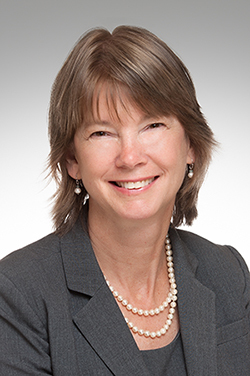 In her new role, Mirabile will lead their team of nineteen professionals providing comprehensive wealth management, investment management, and trust services to individual and institutional clients in Maine and beyond. In addition, she will expand her team’s footprint and establish a new Camden National Wealth Management office in Camden, Maine. Mirabile brings over 25 years of experience in senior wealth management, private banking, and relationship management roles with Key Private Bank. She joined Camden National Wealth Management from People’s United Bank Wealth Management, where she was Senior Vice President and Senior Wealth Advisor for the state of Maine. Active in the local community, Mirabile has served on a number of boards and committees, including the Make-A-Wish Foundation of Maine, United Mid Coast Charities, Friends of CSD, PenBay YMCA Sailfish, and the Children's House Montessori School. She is a Certified Financial Planner™ (CFP®), a Certified Wealth Strategist® (CWS®), and a graduate of Bates College. Camden National Corporation (NASDAQ:CAC), founded in 1875 and headquartered in Camden, Maine, is the largest publicly traded bank holding company in Northern New England with $4 billion in assets and nearly 650 employees. Camden National Bank, its subsidiary, is a full-service community bank that offers an array of consumer and business financial products and services, accompanied by the latest in digital banking technology to empower customers to bank the way they want. The Bank provides personalized service through a network of 60 banking centers, 76 ATMs, and lending offices in New Hampshire and Massachusetts, all complimented by 24/7 live phone support. Camden National Wealth Management provides wealth management, investment management, and trust services to individual and institutional clients in Maine, New England, and throughout the United States. In December 2016, Camden National Wealth Management was launched as a new brand after Camden National Corporation (NASDAQ: CAC) completed the combination of Acadia Trust, N.A. and Camden National Bank. Acadia Trust, N.A. had been operating as a wholly-owned subsidiary of Camden National Corporation since 2001. To learn more, visit CamdenNational.com. Member FDIC.